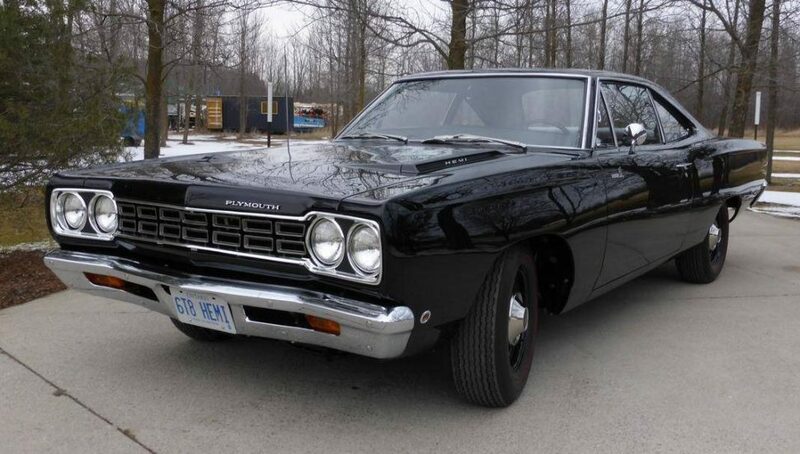 This car is one of only 20 – 1968 Road Runners coupes equipped with the 2 – 4BBL 425 horsepower 426 cubic inch HEMI V8, built to Canadian specifications on April 17, 1968 out of a total North American production of 1,011 units, and is also (according to Galen Govier) the only black one known to exist. It came equipped with the indestructible A833 18 spline 4 speed transmission and 3.54:1 – 9.75” DANA 60 rear axle, as well as other heavy duty options such as larger 26” radiator, 7 blade torque drive fan, HD driveshaft and hemi suspension. This car still carries all of the original drive train except for the engine, which is correctly date coded MN42623920010 (assembled Feb. 14, 1968). 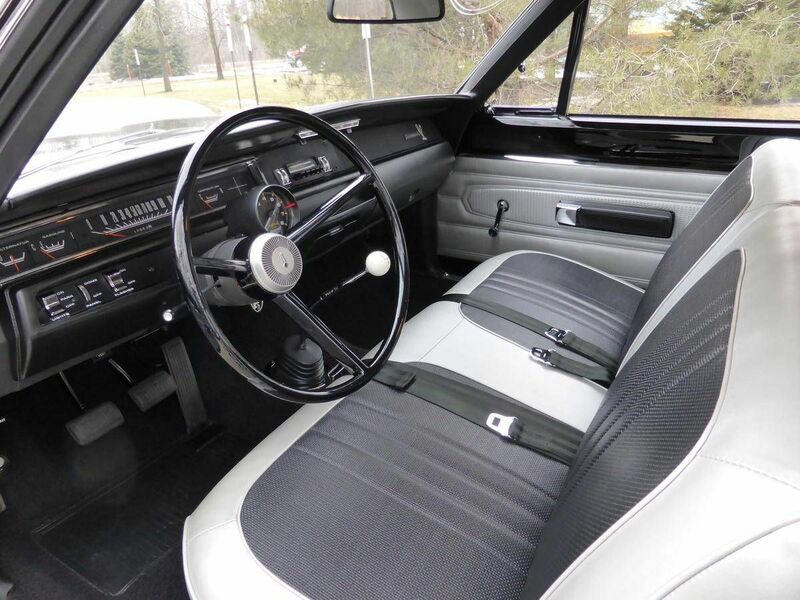 I purchased this car in 1971, when I was 18 years old, and it was my daily driver until 1981, when I parked it. 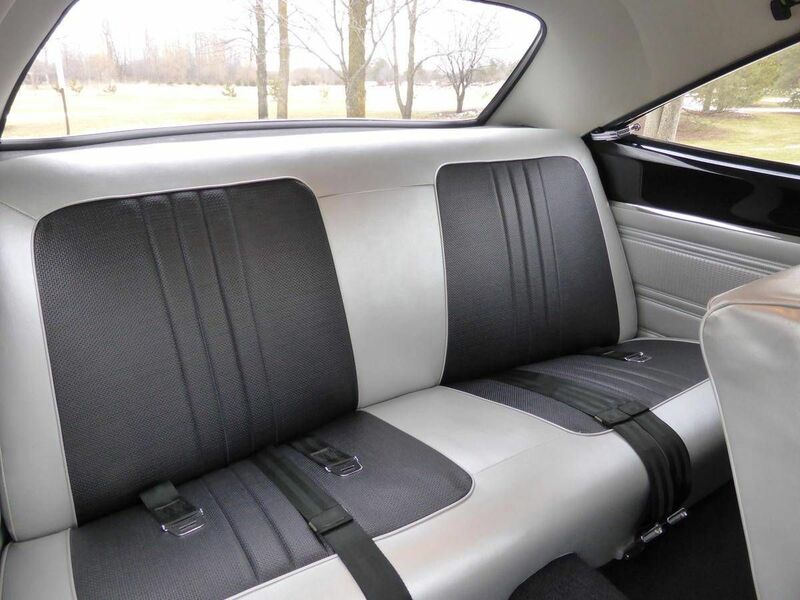 In 2005, I commissioned John Balow at Muscle Car Restorations Inc. to complete a no-expense-spared nut & bolt restoration which was completed in 2007, and built to last. The quality of this restoration is backed up by the many awards this car has won, including 2008 Carlisle All Chrysler Nationals SME judging (87.5 points) plus #1 Celebrity pick, 2008 26th annual Canadian Mopar Spring Fling best in show, 2009 Canadian National Auto Show finalist, 2011 Mopar Collectors Guide Mo-Power Events Pure Stock Champion, 2013 Hemmings Concours D’Elegance 2nd place, 2014 MCACN Street Stock gold (968/1000 points) and too many more to list. This car is a pleasure to drive, and is totally reliable. It comes with full documentation back to 1969, registry report & build sheet decoding by Galen Govier, receipts for all restoration work, CD with over 600 restoration photos, original build sheet, professional appraisal showing value of $277,000 US in 2007, and more. Sue & I have enjoyed and driven this car for over 116,000 miles since 1971, 8,000 of them since the restoration. We have many fond memories from courting to bringing our newborn children home from the hospital to camping trips (towing a camper from Ontario to Florida & back!) and also the odd trip to the drag strip. It is now time to move on and let someone else enjoy this very special automobile. 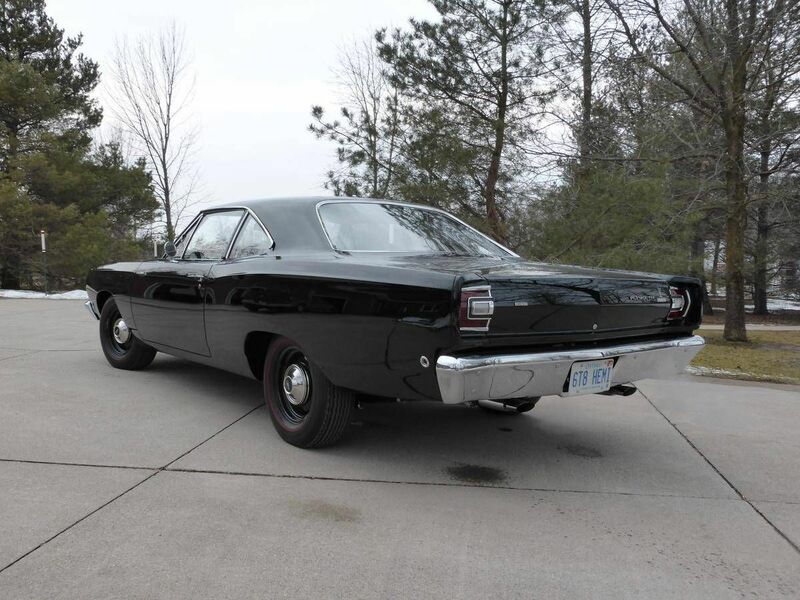 1 of 20 Hemi Road Runner Coupes built to Canadian specifications. Only black one known to exist. 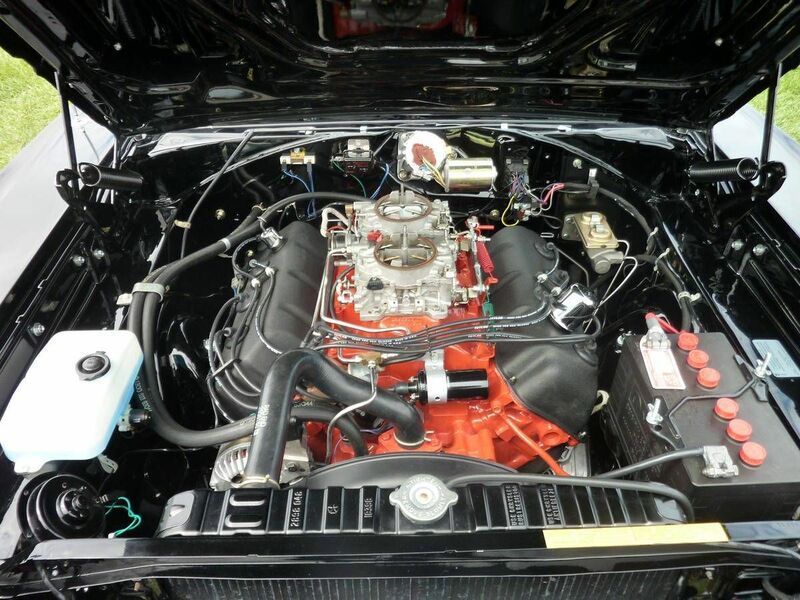 Correctly date coded 426 Hemi engine – completely rebuilt 8,000 miles ago. New Ray Barton cam & lifters in 2015 – dyno’ed at 538 HP, 512 TQ. Stock cam, lifters & pushrods also included. Carburetors are original Carter Hemi units (4430S front, 4431S rear), correctly dated & tagged and rebuilt by Larry Shepard. Carb jetting map is included with the car. The distributor is the original Prestolite IBS-4014A dual point unit, but is currently hiding a custom Pertronics electronic ignition with built-in adjustable rev limiter. Plug wires are Taylor Spiro Pro “factory Look”, and coil is 50K volt Flame Thrower. Original 4 speed transmission with Hurst shifter, driveshaft & Dana 60 rear end – all completely rebuilt. Original Dana 60 rear end – currently 4.10 gears. Stock 3.54 gears are included with the car. Entire body was chemical stripped, dipped in zinc rich primer and e-coated after metal repairs were completed. Every single component of the car was disassembled and rebuilt. Nothing was left out. All wheels including spare are original 15” x 6” JK hemi rims, date coded 1 day apart. 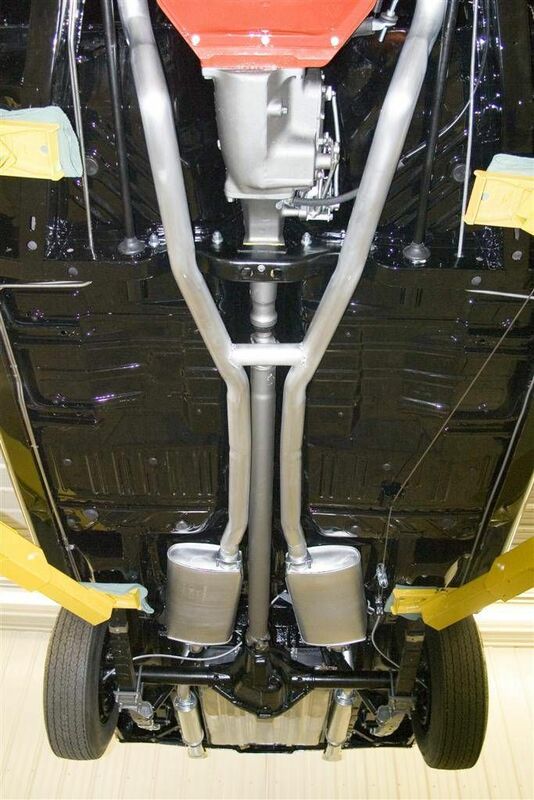 Hidden areas of the floor and wheel wells have been ceramic coated to reduce interior heat & noise. Car has never been in an accident and has never had any body damage (other than rust) in its lifetime. Everything on this car works as intended. You will not find a nicer one anywhere. The undercarriage has very minor road wear, but looks better than new otherwise. 3 correct brand new reproduction Goodyear Speedway redline tires (there is a 4th mounted as a spare). A set of original cast iron exhaust manifolds…the ones on the car are reproductions. A set of original dual points and mounting plate…the car currently has a Pertronics kit, for reliability.